1 red chili finely chopped. 4 pieces of salmon, with the skin, removed. Heat the margarine in a pan and add the leeks, saute until soft. Tip into an ovenproof dish and evenly spread around. 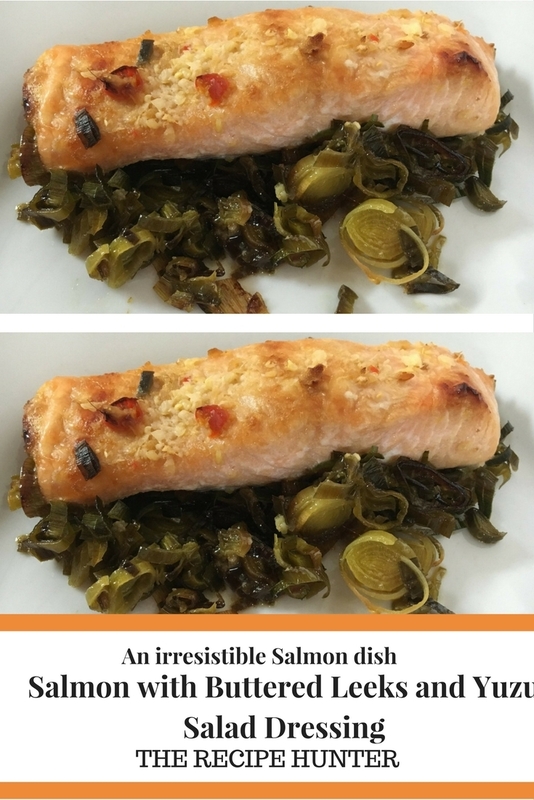 Place the salmon pieces on top of the bed of leeks. I love dressed salmon. This looks amazing.